Work continues on my next novel, The Ocean Between Us, which will open a brand-new series! (I haven't put the Alaia Chronicles series aside, it's just percolating for a while. 🙂 ) A short summary of Ocean: When an exiled and shipwrecked prince crawls onto the shore of a cursed ex-mermaid, their sizzling passion drives the ancient Greek gods and goddesses into war. Psst: Wanna hear when it comes out and get sneak peeks? Subscribe to my newsletter! I'm a mountain girl. Something about alpine vistas makes me breathe deep while my heart quivers. That's why I've yearned for Colorado since my first visit 20-odd years ago, and why I now live on the top of a mountain in the Rockies. My honey and I (currently known as Dr. 4×4 🙂 ) were able to take a couple of quick getaways in my adopted home state. Colorado is delish. This was the view from our hotel window in Salida, Colorado. Hands up, who wants to wake to that view every morning? I'll post a few photos of Southern Colorado now—especially from the Black Canyon of the Gunnison—and more photos of Colorado's mountainous beauty in the future. Alas, I'm no professional photographer, and in some of these I was still trying to figure out the camera on my new phone, heh—but they'll give you a taste. Near Slumgullion Pass. Uncompaghre Peak (14,309 feet high) is the rose-thorn pointy one. Black Canyon of the Gunnison. You can barely see the Gunnison River in its twisty bed, but it's down there. More Black Canyon of the Gunnison. Dramatic scenery, no? Aaaand more of the Black Canyon of the Gunnison. It's a loooong way down, peeps. Yay for guard rails! Yes, I've probably earned that nickname. It's not that I hate the holidays—it's more like I've been indifferent to them. I'm self-employed, which just means I have freedom to work all the time. (No, it's not always a good thing.) Weekends are often much like weekdays to me, and coming as I did from a small and not-that-religious family, holidays weren't a big deal to me. So I wasn't planning to do any of the usual rah-rah this time of year. And then, pretty much by accident, I inherited a Christmas tree. Of sorts. My neighbors were moving, and as they were doing their final cleanup, they asked if I wanted this sad little evergreen in a pot. Anyway, to my great surprise, I told the neighbors I'd take the itty bitty evergreen. I'm surrounded by full-grown ones up here on the mountain, so this little guy has a long way to go—but he gets to stay outside on my deck (which foils the cats) and I pretty much just need to water him every now and then. Or just let the snow fall on him. I figure he and I will do pretty well for a while, until he needs a bigger pot. At which point I'll probably just find a good place to plant him. My tree got me thinking about celebrations in my fantasy romance novels. The celebrations in those worlds are decidedly…well, non-religious. The gods and goddesses in my books tend to be benign, with a few key exceptions—although they pay more attention to mortal affairs than the mortals might think. And one thing that even the gods can agree on is love. 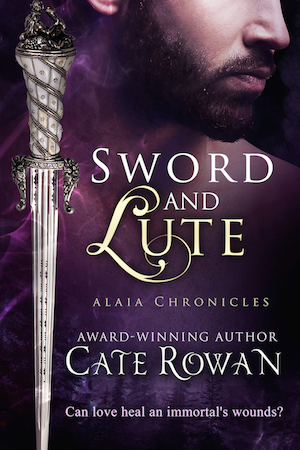 Sword and Lute is my latest fantasy romance. It's a novelette about how true love leads a musician who's chasing her dreams to a dying god—and to their second chance at life. There are no holidays in it, save the one new lovers make for themselves. 😉 Ahem. If you prefer stories set in our world, peek at the books with the white covers below. 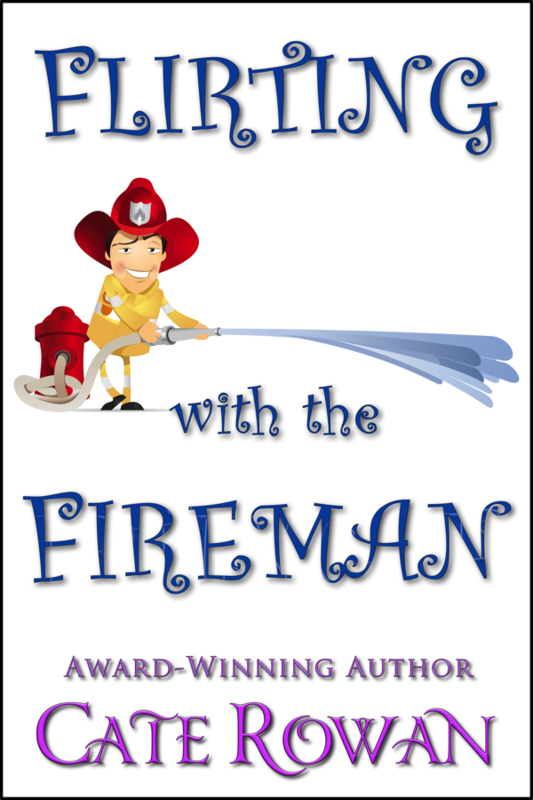 You can check out all my tales at Amazon, Barnes & Noble, Kobo, Smashwords, Apple and All Romance eBooks. So here's my question for you: What's YOUR favorite kind of celebration? To be eligible for the Blog Hop's grand prizes, you must include your email address IN THE COMMENT ITSELF so the overall Hop administrators can contact you. GOOD LUCK! Click here to return to the main Holiday Gifts of Love Blog Hop site. Let me get something out of the way right up front: I love me some alphas. Or at least Writer Me loves me some alphas. Person Me has a few reservations. Lemme ‘splain. We'll start with Writer Me. Kuramos takes his responsibilities to his realm, his people, and his family to heart. He's a man who will never let you down once you're under his protection. But being the sultan has forced him to bury his own needs so deep that it takes a strong woman—one who believes in nothing less than true love and monogamy!—to shake him to his core and make him realize all he's missing, despite his wealth and palaces and power. That's the fantasy of the alpha in romance: that whoever this ultra-masculine man is, whatever his position in life, the love of a good woman is the one thing that can bring this fearless male to his knees. Writer Me clearly adores not only alphas, but royal alpha men. 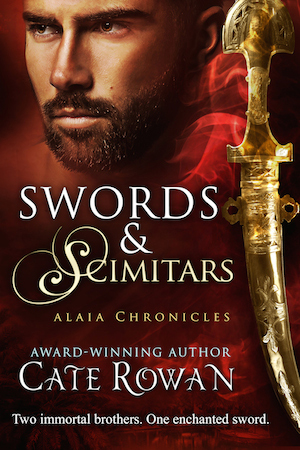 (Kismet's Kiss, The Source of Magic, Swords and Scimitars….) Yep, Writer Me likes my heroes hot and powerful. 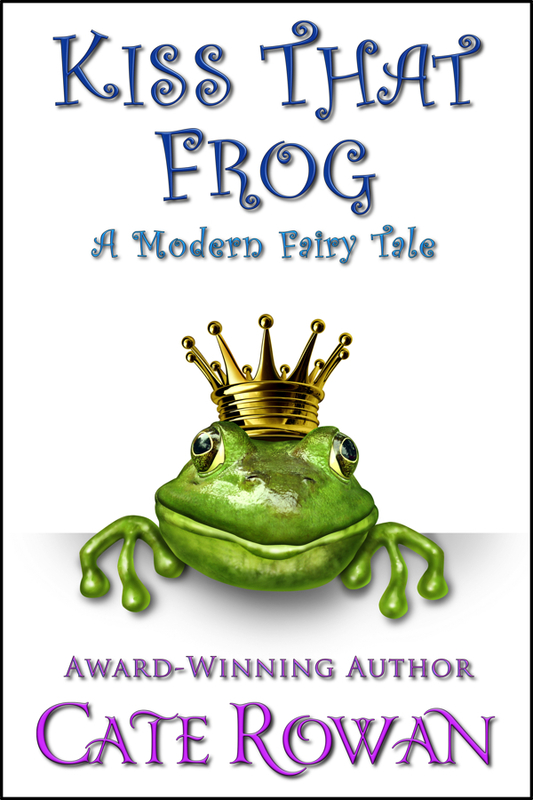 But she also appreciates men who've grown up enough that they don't need to constantly project their macho-ness (for example, the enchanted Frog Prince Alexander in Kiss That Frog: A Modern Fairy Tale). It takes a wise man to know how to communicate. Fantasy alphas often try—at least at first—to do that through action. That's nice and all, but in the modern world, a real man knows how to use words. For example, if that hot, powerful guy doesn't understand the value of giving his woman comfort (and not just in bed! ), there's no point in keeping him. Fortunately, even in fiction, many alpha heroes learn that words are worth as much as a well-executed sword strike. When they do, they appeal to readers' hearts and heads. To me, those are the best romance heroes of all. So here's my question for you: What do you enjoy in fictional heroes that you wouldn't necessarily want around you in real life? 3rd Grand Prize: An awesome Swag Pack of books and reader goodies! Click here to return to the main Alpha Male Blog Hop site. Now that I'm back from Dragon*Con in Atlanta, I thought I'd offer up some fun stats about my trip, mwa ha ha. Number of Michael Whelan's Pern cover art posters purchased: 2. They're going to look awesome on my office wall. Number of times I ate at Chick-Fil-A: 5. Yes, that was deliberate. The nearest location to my home is more than two hours (and quite a bit of altitude) away, so I made good use of my temporary proximity. Number of, er, nipular areas (thank you for the handy terminology, Chandler Bing) unwillingly viewed during nightly promenades around the hotels' atriums: 12. Yes, there was some eyebleach involved afterward. Other fails: Poor picture-taking by the new smartphone owner (moi), who couldn't figure out how to turn on the flash. And of course, no Anne McCaffrey in person at Dragon*Con. 🙁 She was very much missed, but I'm sure all of her fans are wishing her well and would rather have her stay healthy (and working on another Pern novel!!!). And…there may be a Pern FILM TRILOGY in the works. W00T! Other wins: I figured out how to tether my cell phone to get Internet on my netbook, heh. I also thoroughly enjoyed the Weyrfest track, got to meet Anne's son Todd (a Pern author himself, of course, and a very funny man), and was able to sign a card for Anne expressing my gratitude for her words and her worlds…both of which helped me follow my own life's dream and become an author. Interesting little coincidence: Todd was on the first leg of my flight back home, just one row ahead of me. Unfortunately, he was tuckered out (and ill from “con crud”). I figured he was due for some down time, so I decided not to be a total fangirl. It was a near thing, however. Bottom line: Dragon*Con 2011 was a VERY well-run con and a fab time was had by all! If you'll be at the con, drop me an email—with luck, we'll be able to chat in 3D amidst the crazy wonderfulness that is Dragon. 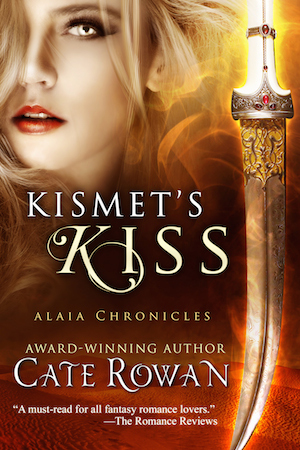 Digigirl posted a great little review of Kismet's Kiss today. 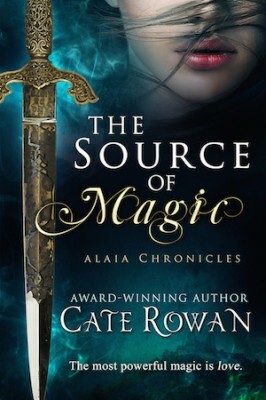 My fave parts: “Incorporating magic, espionage, betrayal, love and family, Kismet’s Kiss is a keeper” as well as “settle in for a delicious romantic fantasy!” She posted the five-star review at Amazon, too. And then Mandi and Tori of Smexy Books posted their top books of 2010. (They both tried to get their lists down to 20, but couldn't quite do it. Heh, I know how they feel.) Tori reviewed Kismet's Kiss in October and has now put it in her Top 22 of 2010. Here's the fab quote: “A provocative and lush fantasy that calls to all romance lovers.” That's a terrific “pull quote” for sure. I've run out of room for all the review snippets at Amazon, where they're limited to five. I might need to start a page on my website to corral them all. Oh, and here's a bonus link full of hysterical laughter for you, I promise: Hyperbole and a Half's latest post, “The Year Kenny Loggins Ruined Christmas.” You're welcome.